Samsung is reportedly preparing a new tablet line that will be the first to debut with a WQXGA (2,560 by 1,600) AMOLED display. The Galaxy Tab S will arrive in your choice of 8.4-inch or 10.5-inch displays according to a report from SamMobile. It’s not the first Sammy slate to use AMOLED technology, mind you. 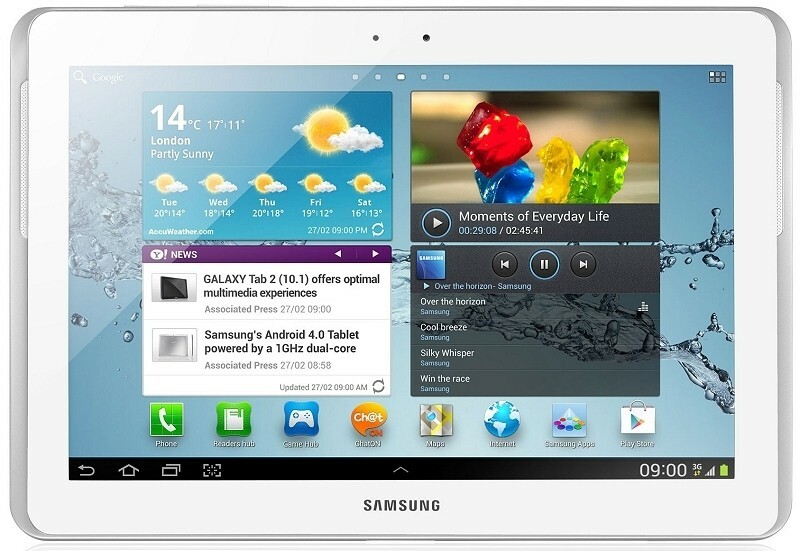 That honor goes to the Galaxy Tab 7.7 back in 2011 but we haven’t seen a Samsung tablet use it since. AMOLED technology is, however, widely used in Samsung’s smartphone arsenal and has earned high marks for its low power consumption and high contrast levels. It’s the same tech behind the Galaxy S5’s display which was recently crowned the best performing smartphone display in the world by DisplayMate. Elsewhere, the Tab S will be the first Samsung tablet to feature a fingerprint sensor. It’ll be embedded in the home button as it is on the S5. Under the hood, the Tab S packs an Exynos 5 (5420) octa-core SoC, a six-core ARM Mali-T628 GPU, 3GB of RAM, an 8-megapixel rear-facing camera and a 2.1-megapixel shooter up front. Connectivity includes 802.11 ac wireless in addition to a/b/g/n, Bluetooth 4.0 LE, an IR blaster to control your television, GPS, DLNA, Wi-Fi Direct and more. It’ll ship with Android 4.4 Kit Kat out of the box. Unfortunately, no timetable was provided for when we might see the Galaxy Tab S or how much it’ll retail for.